Higher-efficiency PV Modules! : 4 years ago, 60-cell PV modules (solar panels) were barely hitting 250 Watts. Today, we are routinely installing 320 Watt modules of the same size, at similar prices. In a city of limited roof space, this means more PV on the rooftop, and offsetting a higher percentage (or all) of your home’s electrical demand. EV Chargers: As Tesla, Nissan, Chevy, VW, and other car manufacturers roll out new electric vehicles and plug-in hybrids, its going to be hard to miss the rapidly changing infrastructure as charging stations, electric car shares, and electric service vehicles become the norm. VREC has already begun installing level 2 chargers in EV owners’ garages & driveways, and we are in the planning stages of a pilot project for curbside residential charging. Let us know if you want to explore EV charging at your home or office. Community-owned Solar: Solshare, a cooperatively-owned PV producer administered by VREC, will be adding another array to its portfolio just north of Queen Elizabeth Park. This 25 kW system will generate approximately $3850 of electricity per year. Tesla Powerwalls: VREC has been carefully assessing numerous homes across the Lower Mainland for Tesla Powerwall suitability, and will be installing them in the new year. The Powerwall is a smart and connected means of providing back-up power for homeowners in the event of a natural disaster and/or extended power outage. Should variable peak-time billing ever be instituted in BC, the Powerwall would also serve as a tool to avoid buying electricity when it is at its most expensive. 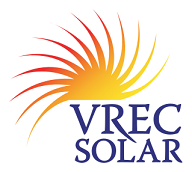 Arctic Renewables: VREC’s first fully-web-connected Arctic installation in Pond Inlet, NU, will experience its first summer, with 3 months of nearly 24-hour daylight. Watch the magic here. *Note: don’t look now; the sun won’t be back until late winter/early spring! 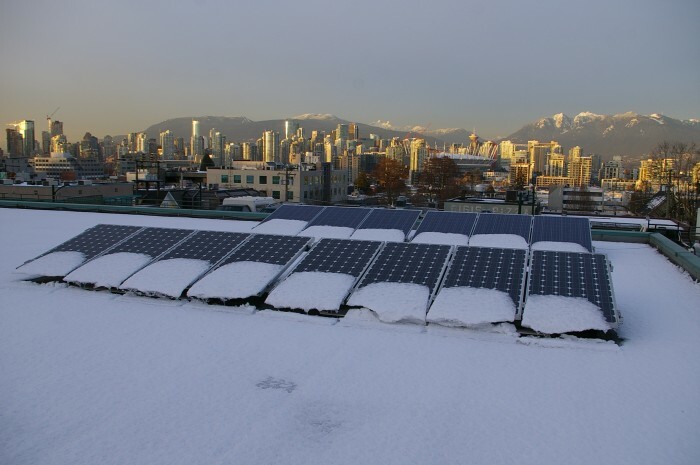 Olympic Village: Some of the most visible PV Panels in Vancouver are located on the new Paddling Centre boathouses located in Southeast False Creek near the Creekside Community Centre. These were installed by VREC and began producing power this past summer. Even with shading from the occasional hamburger bun or mussel shell dropped by a gull, these panels are still pumping out power that is used in the boat sheds and the Community Centre. Check this summer for online monitoring of this system. Happy Holidays, Happy New Year, and keep in touch for 2018.